The Avg. Group Discount is 16.6%! Welcome to the Quality Inn & Suites Winter Park Village Area in Orlando. The hotel is ideally located minutes from downtown Orlando and convenient to Central Florida's World Famous attractions such as Walt Disney World, SeaWorld Orlando, Universal Studios and Islands of Adventure. Nearby, guests will enjoy an array of eateries, shops and activities, including: •Winter Park Village•Orlando Museum of Art•Amway Center•Camping World StadiumGuests at the Quality Inn & Suites will enjoy a variety of amenities including:•Complimentary Full Hot Breakfast daily•Refrigerator and Microwave in all guest rooms•Free Parking•Free WiFiAll guest rooms include a hair dryer, iron and ironing board, flat screen television and small coffee pot. Guest laundry facilities are available on property.Other amenities include a business center open 24-hours daily, fitness center and outdoor pool. If you can change all carpet by tile it should be better. Carpet gives allergy. 26-Nov-2018 Verified Review, stayed from Fri Nov 23 to Sat Nov 24 2018 at a $89.60 average nightly rate. 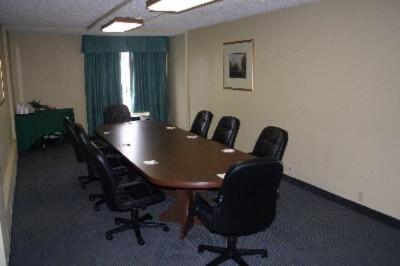 No Resort Fees.The Quality Inn & Suites is very conveniently located adjacent to I-4 at the Lee Road Exit #88. Our hotel is on the East side of Orlando in the Winter Park Village area, 3 miles from Park Avenue area of Historic Winter Park with Shopping and Dining, Morse Museum, Winter Park Scenic Boat Tours, Meade Botanical Gardens, Winter Park Art Festival, Rollins College, Orlando Science Center, Orlando Museum of Art.The Trotter Ridge sports park is just 1.5 mile away on Lee Road. Amway Arena, home of the Orlando Magic and Citrus Bowl and enjoy games at the Citrus Bowl a 10 minute drive. Driving West on I-4 from our hotel,Universal Studios and the Holy Land Experience are 15 minutes, Sea World is20 minutes, and Disney World is only 30 minutes. One week prior to date of arrival for groups. 4PM - 24 hours from date of arrival for individuals. Airport 15 miles away, shuttle or taxi rates are approximately $60.00. Complimentary auto and bus/motorcoach parking. 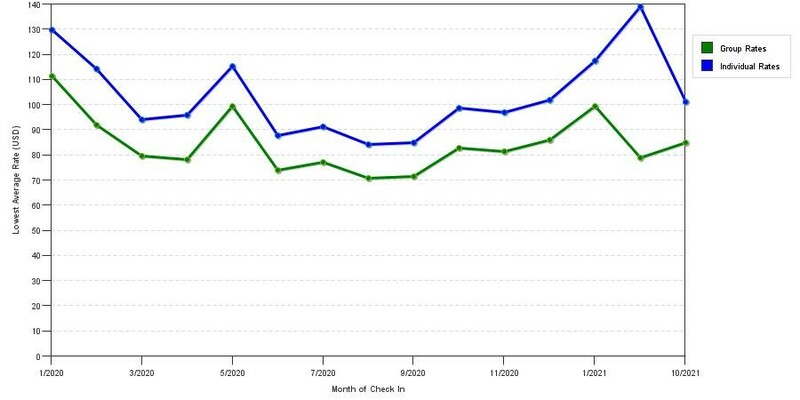 The chart above shows fluctuations of prices for both group prices and the best individual traveler prices we could find at the time the group/meeting bid was submitted. The lowest group discount displayed is 24.6% in the month of June 2017 and the highest average individual rate is $139 in the month of March 2018. This chart will show past seasonality and also project future months. If you are flexible with dates, you may want to consider staying at Quality Inn & Suites Winter Park Village Area in a month when rates are lower. 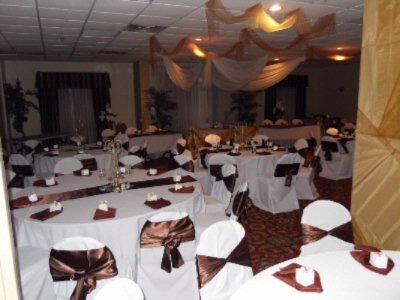 Below are the meeting, banquet, conference and event spaces at Quality Inn & Suites Winter Park Village Area. 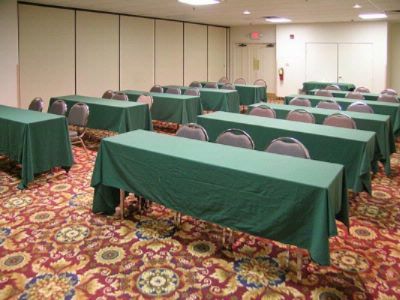 Feel free to use the Quality Inn & Suites Winter Park Village Area meeting space capacities chart below to help in your event planning. 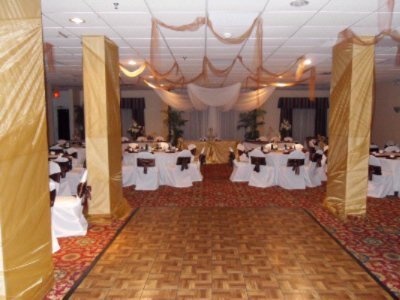 Hotel Planner specializes in Orlando event planning for sleeping rooms and meeting space for corporate events, weddings, parties, conventions, negotiated rates and trade shows. 61 x 36 x 9 Ft.
40 x 35 x 9 Ft.
21 x 35 x 9 Ft.
36 x 21 x 9 Ft.
30 x 11 x 9 Ft.
61 x 35 x 8 Ft.
30 x 11 x 0 Ft.